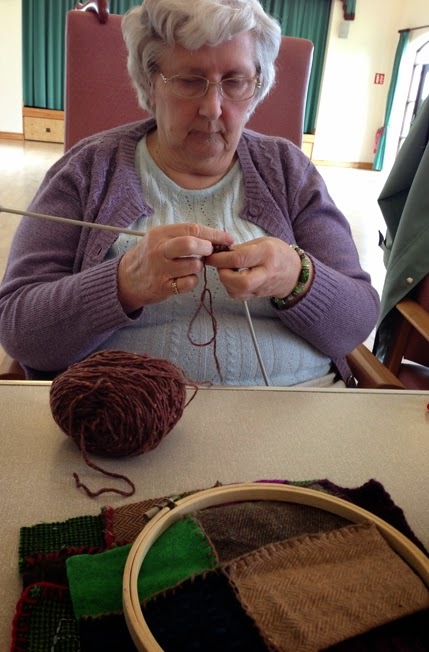 Hulland Ward Day Centre run by Age UK was the host for yesterdays Stitching the Wars workshop, a fascinating, rewarding and productive session. All the group got involved with making the quilt, some in doing so facing up to fears and physical disabilities- Annie, a visually impaired women, knitted for the first time in years, without sight she powered away using muscle memory. 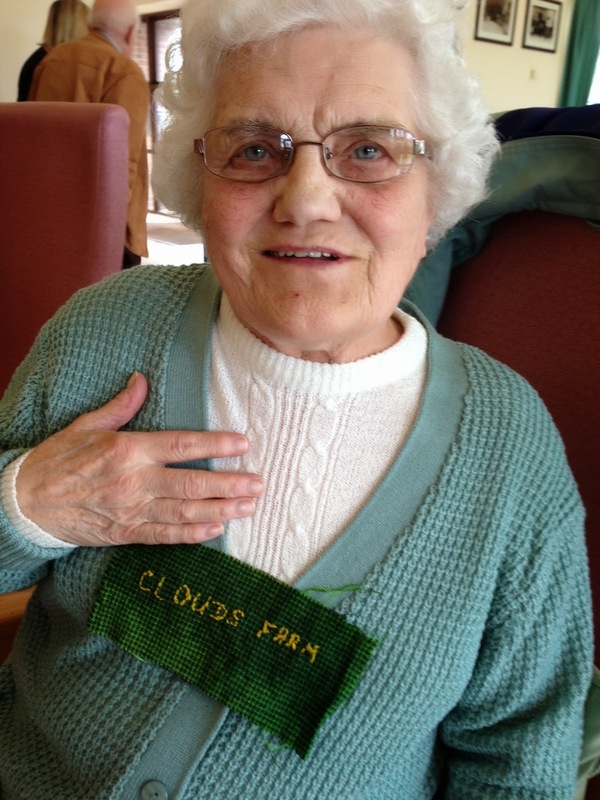 Dorothy who has lost the use of one hand, carefully embroidered 'Cloud Farm' onto tweed, with the assistance of Olga holding an embroidery frame, and with encouragement Geoff took up needle and thread for the first time in his life. Dorothy Cowley with her embroidery. We had a lot of Americans and Canadians through Cowes where we lived. My parents had a restaurant, American and Canadian soldiers made a pile of money on the table- there was no talk of where they were going or that they might not come back… but they didn’t want to go with any change in their pockets. The little waitress’s had families at home so shared the money out. Those soldiers didn’t know if they were coming home or not- and many didn’t. They were happy, always happy. ‘Got any gum chum?’ They’d come to the Isle of White to train, often we’d see them sat in groups exhausted, the next minute up playing baseball.